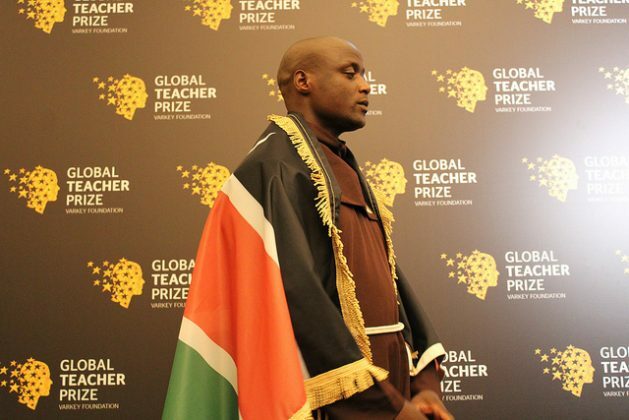 DUBAI, Mar 25 2019 (IPS) - A maths and physical science teacher from an impoverished school in Kenya’s Rift Valley, Peter Tabichi, has won the one million dollar Global Teacher Prize, becoming the first teacher from Africa to clinch the prize established to honour the profession. 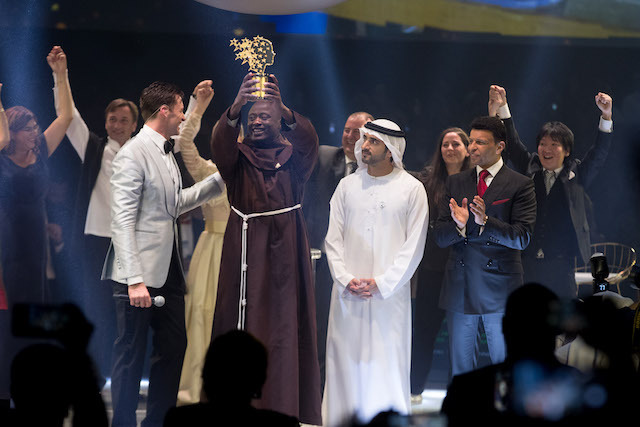 Citing his father as his inspiration for becoming a teacher, Tabichi, a member of the Franciscan Brotherhood, gives away 80 percent of his monthly income to help the poor students in his school, many of whom come from poor families–almost a third are orphans or have only one parent–with many going without food at home. The students have difficult experiences ranging from drug abuse, teenage pregnancies, early school dropout, young marriages and there have been cases of suicide. Kenya’s President Uhuru Kenyatta, congratulated Tabichi on winning the award in a special video message broadcast at the ceremony in which he described Tabichi as a shining example of what the human spirit can achieve, not just for Kenya and Africa, but also for the rest of the world.